New leaked renders of the HTC One M9 Hima point out a new peculiar feature the handset might come with: a fingerprint sensor. The leaked renders also include the HTC One M9 Plus or Ace Plus or whatever you would like to call it, and we have to add that we would like it if the real deal looked like these renders. Renders are usually not a reliable source of information, but it is fun to speculate on what HTC may or may not include in their next flagship for 2015. Judging by the renders, the HTC One M9 Hima as well as its bigger version if it ends up existing, will be a considerable design improvement. Even though the bottom and top bezels aren’t much thinner than on the HTC One M8, the bezels on the side are remarkably thin and would make for a pretty nice phone, indeed. Besides the sleek renders, we also get a glimpse of an oddly shaped home button placed on the front of the larger device. Rumors say that the home button we’re seeing on the render provided by retired @evleaks is actually a fingerprint sensor. That’s the very first time we ever heard of a fingerprint sensor on an HTC smartphone, so skepticism is in order at the moment. The HTC One M9 is supposedly launching at the MWC in Barcelona in March, so we’re sure to find out what the Taiwanese company is planning. Out expectations of the HTC One M9 are pretty high, but they do seem like a plausible approach. Front-facing speakers, as seen in the render, are a must since they were a highlight on the HTC One M8 as well as the HTC One E8. Aside from that, we expect a Snapdragon 810 CPU backed by either 3 or even 4 GB RAM and a few internal storage options, possibly expandable through a microSD card. A massive 20 MP camera should decorate the rear of the device, and a 4 MP Ultrapixel camera should be on the front. We do expect optical image stabilization to appear, too, but we’re not that sure. Android 5.0 Lollipop is guaranteed, and Sense 7.0 is also scheduled to hit when the HTC One M9 Hima is launched. The HTC One M9 Hima is one of the most anticipated smartphones of the year and HTC will have to impress us quite a bit if it wants to live up to the massive expectations users are posting online. One thing few mention is that a smartphone can’t be high-end unless it has a good battery life, so our biggest hope for the HTC One M9 Hima is a massive battery close to 4000 mAh. What’s one feature you would definitely want on the HTC One M9? 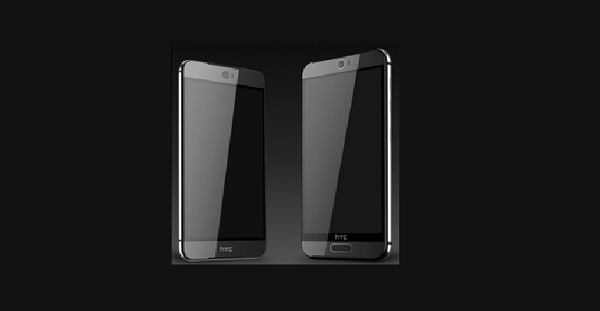 Next Galaxy S6 vs HTC One M9 Hima: which will be more spectacular?